In a single recent year the U.S. classified about five times the number of pages added to the Library of Congress. We live in a world where the production of secret knowledge dwarfs the production of open knowledge. Depending on whom you ask, government secrecy is either the key to victory in our struggle against terrorism, or our Achilles heel. But is so much secrecy a bad thing? Secrecy saves: counter-terrorist intelligence officers recall with fury how a newspaper article describing National Security Agency abilities directly led to the loss of information that could have avoided the terrorist killing of 241 soldiers in Beirut late in October 1983. Secrecy guards against wanton nuclear proliferation, against the spread of biological and chemical weapons. Secrecy is central to our ability to wage an effective war against terrorism. Secrecy corrupts. From extraordinary rendition to warrant-less wiretaps and Abu Ghraib, we have learned that, under the veil of classification, even our leaders can give in to dangerous impulses. Secrecy increasingly hides national policy, impedes coordination among agencies, bloats budgets and obscures foreign accords; secrecy throws into the dark our system of justice and derails the balance of power between the executive branch and the rest of government. Robb Moss is a filmmaker, professor and chair of the Department of Visual and Environmental Studies at Harvard University. Moss’s The Same River Twice (2003) premiered at the Sundance Film Festival, was nominated for a 2004 Independent Spirit Award and opened theatrically at Film Forum in New York City. Winning prizes in Nashville, Chicago, New England, and Alabama, The Same River Twice was selected by the Chicago Reader as Best Documentary (and Best Cinematography) of 2003. His autobiographical and essay films, such as The Tourist and Riverdogs, have screened at the Museum of Modern Art, the Telluride Film Festival and IDFA. He has served as a festival juror at Sundance, San Francisco, Denver, Full Frame, Camden, Seattle, Chicago, New England, and Ann Arbor, is on the Board of Directors for ITVS, and works as a creative advisor at the Sundance Documentary labs. The Teacher's Guide was produced by the Choices for the 21st Century Program of the Watson Institute for International Studies at Brown University. The Choices Program is a national education program that introduces substantive international content into the secondary school curriculum. Its mission is to empower young people with the skills, knowledge, and participatory habits to be engaged citizens who are capable of addressing international issues through thoughtful public discourse and informed decision making. Choices develops print and digital teaching resources for the high school level on a wide range of international issues, offers professional development for high school teachers, and sponsors civic education programs for students that link the classroom to the world beyond. All Choices resources and programs explore complex international issues from multiple perspectives. Teachers nationwide are using Choices resources and programs in a range of courses, including U.S. history, world history, global studies, and government. See www.choices.edu for information and resources. Article: "Removing Knowledge" by Peter Galison, co-director of SECRECY, on the subject of government secrecy which appeared in the academic journal Critical Inquiry in 2004. 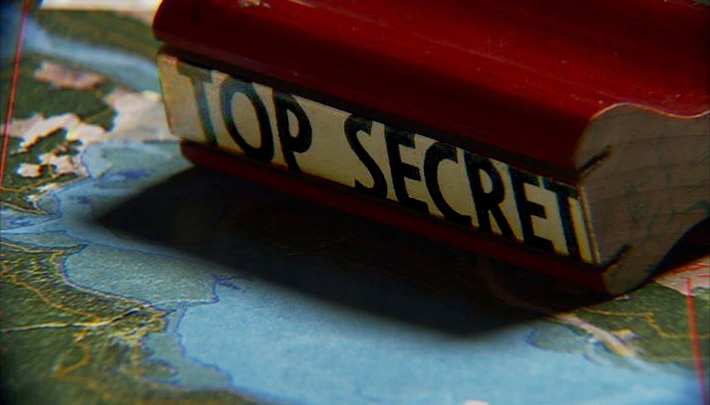 The article describes the increasing size and scope of the secrecy system which developed in the United States during the Cold War, looking at both the practical, historical, and epistemological implications of the every-increasing regime of classified knowledge. Article: "This Documentary Moment" by Robb Moss, co-director of SECRECY, on the creation of the film, from the magazine Media Ethics (Fall 2007). The article addresses the difficulty of making a film about secrecy.